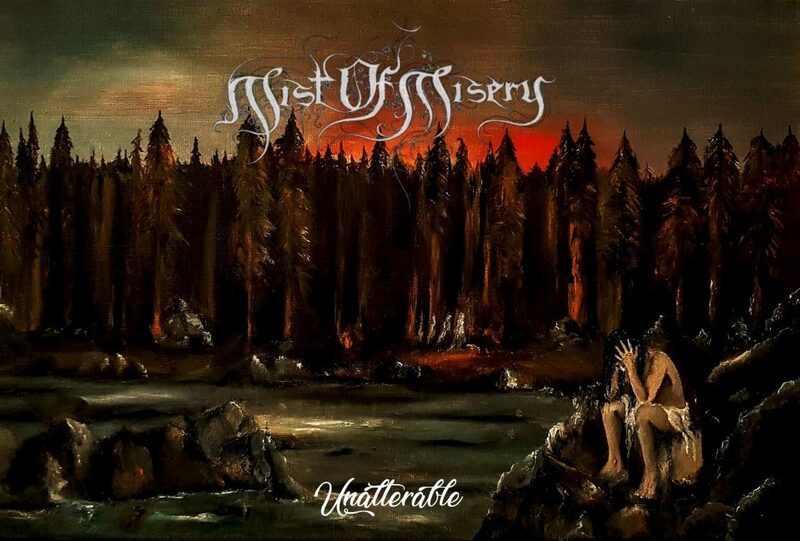 A few days ago Mist of Misery released their latest album titled Unalterable. 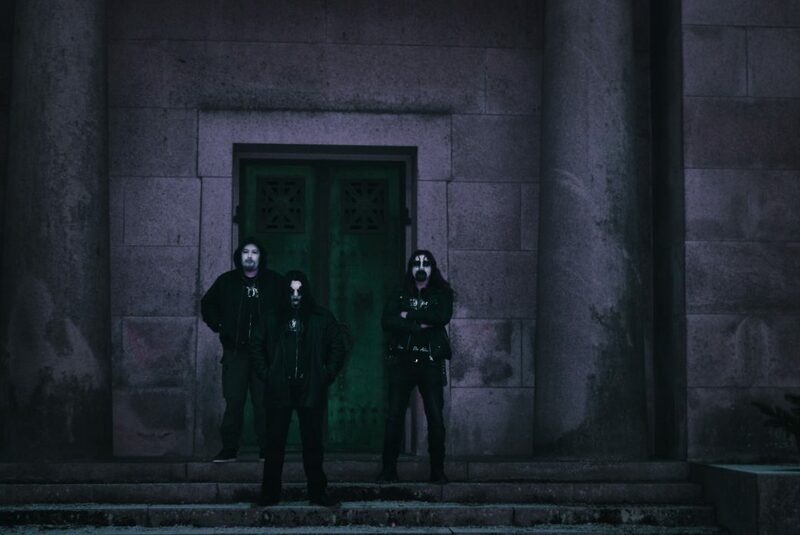 DutchMetalManiac’s Tim van Velthuysen recently interviewed Mist of Misery. Hey, congratulations with your upcoming album, Unalterable. It’s really nice! You decided to make Unalterable an double-album. Can you elaborate on that decision? We soon discovered that the material we had wouldn’t fit on only one CD, since the songs are very long, and the fact that there are 14 of them, already makes this difficult. We noted that the songs we were writing began to take on a life of its own, and the tracks were getting longer and longer, so it wasn’t really a practical thing to just release it as a single album, both for us and the listeners. Unalterable contains two covers, Coldworld’s Red Snow and Dimmu Borgir’s Stormblåst. What was the reason for choosing those two particular songs? Coldworld has always been one of the main inspirations for Mist of Misery, so the choice to cover it was given. The song in question felt perfect for this album. Regarding Stormblåst we always held the Stormblåst-album in high regard, and thought that it deserved a new rendition, in the Mist of Misery-vein. You already released two singles, with the first of those being Halls of Emptiness. That song also features Jacob Ottosson from Vanhelga. How did this collaboration came to pass? It all started back in 2016 with my other band Eufori making a Vanhelga-cover, and after a while, he asked me if I could play drums with them, and from there on I have been the drummer of Vanhelga. Since then Jacob has become a really good friend of the band, and it was only natural for us that he would be included on the album, since his spoken words really fit the atmosphere on Unalterable. Readers question from Bastian Rouaud: Even when I can’t understand all of it, it always feels like the music is exactly expressing what I’m feeling, which really impress and help me. Where do you find your inspiration for the lyrics and atmosphere? Every day-life and its tribulations inspire us. We always bring what’s inside us to the music. We as persons are naturally quite dark and introverted people, and while it doesn’t help us in daily life, it brings the right element to our music and lyrics. Regarding the atmosphere; we try to incorporate the right feeling in the soundscape to match the lyrics, and together they blend to make the best possible experience. The title-track of Unalterable was already written back in 2014, when you didn’t know it would end up being the title-track of this album yet. However, you’ve released new music since that time. What made now releasing it this way better compared to releasing it on one of your earlier releases? We’ve played Unalterable live since early 2016, before Absence was even released, but we never thought it blended very well with our earlier material. As we wrote the songs for Unalterable we noticed that it would make a perfect addition to the album, and obviously it became the title of the album because the lyric of that song really encompass the spirit of what became the new album. In 2017 Phlegathon left Mist of Misery to focus more on his other band Hyperion, while Tenebris joined you around that time. Did this bring some changes in the album creation process and, if yes, what changed? Yes, Phlegathon left Mist of Misery to focus more on Hyperion, and Tenebris was already playing live with us since 2016, and we got along well musically and we were compatible. We had the same ideas for the future of the band, and we worked well together as a unit. He brought his own ideas for the bass of the album, which brought some interesting melodic qualities to the soundscape. Unalterable also has something Dutch included: the artwork is made by Alice Ruitenberg. What made her the best person for this job? Well, she’s been a friend of the band for a long time, as well as a good personal friend. She’s also a very gifted painter, and she has the same kind of mindset as we have, so it felt natural to give her the freedom to create something truely special. Your live guitarist at the moment is Nikita Osgiliath Smirnov. Do you want Mist of Misery to have a guitarist as full band member, instead of only playing live, or not? Anything special planned on Unalterable‘s release day? We played a special show two weeks ago in our hometown of Stockholm, with three guitarists for the very first time. If we can find the right people we will definitely keep playing with three guitarists live, as it brought a more full experience for everyone. Luckily our new album had just arrived in physical form, so we could sell it during the show, so you could call it a release-party of sorts. Can we expect some Mist of Misery shows in support of Unalterable in the near future? Maybe coming to The Netherlands? Our next show is Eradication festival in Cardiff, Wales the 24th of May 2019, and yes, we do have some plans actually to play in the Netherlands in the nearby future. Something might be in the works, as we speak. Thanks for your answers! Is there anything you want to say to our readers? Thank you for the questions and for your support! Make sure to check out the new record Unalterable. I am not a friend of the band, I have no friends.